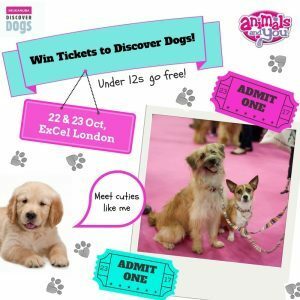 You’d be barking mad to miss Discover Dogs at the ExCel Centre in London this October 22 and 23! 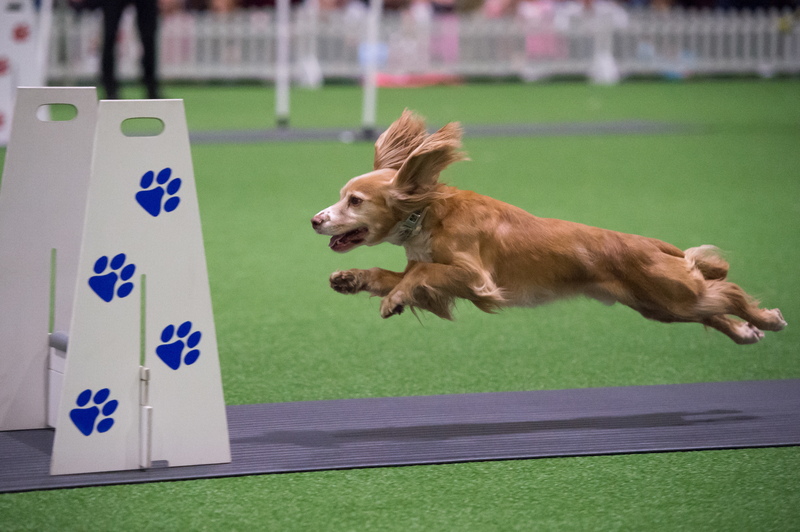 This doggy event is fun for the whole family, and you can get up close to over 200 beautiful breeds of dog as well as watch exciting displays and competitions, including the semi-final of the Scruffts crossbreed comp! There will even be a stand dedicated to the Young Kennel Club, the UK’s number one kids club for dog lovers aged 6-24! If you’re not already a member, perhaps you’ll join up on the day?! Under 12s go free, and Mum and Dad can go free too – if they win our pair of tickets to the event! All you need to do to be in with a chance of winning is answer the following question and email your name, age and address, plus a parent or guardian’s contact details and the day you’d prefer to attend the event (Saturday, October 22 OR Sunday, October 23) to animalsandyou@dcthomson.co.uk. Which of these is not a breed of dog? The competition closes at 1000 on Monday, October 3, 2016 – good luck! Discover Dogs takes place at the ExCel London Exhibition Centre on October 22 and 23. By entering the Competition each entrant agrees that they have read, understood and agreed to be bound by these terms and conditions (the “Terms”) (including any entry instructions). 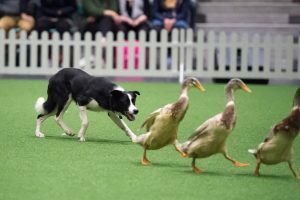 The Promoter of the Discover Dogs Competition (the “Competition”) is D.C. Thomson and Company Limited (a company registered in Scotland with company no. 5830) whose registered address is at 2 Albert Square, Dundee DD1 9QJ (“DCT”). The Competition opens on Friday, September 30, 2016 at 1200 and closes on Monday, October 3, 2016, at 1000. The Competition is open to all individuals who are residents of Great Britain and Eire. Entrants under the age of 18 must have the consent of a parent or guardian over 18 to enter the Competition. DCT reserves the right to obtain proof of such consent and to refuse entry or to choose another Winner if such proof, where requested, has not been given. The Competition is free to enter and no purchase is necessary. Multiple entries per person are not permitted. Employees of DCT and their families and anyone else who is in any way connected with the Competition may not enter. Any such person attempting to enter shall not be eligible to win and their entry shall not be counted. DCT accepts no responsibility for entries that are delayed or which are not received for any reason and also has no liability in respect of any incomplete entries that are received. Incomplete entries will not be counted and will be discarded. DCT has no responsibility to inform any entrant that their entry is incomplete and not valid for entry to the Competition. DCT is not liable for any associated cost to entrants of entering the Competition. DCT do not accept any responsibility for network, computer hardware or software failures of any kind, including (without limitation) those which may restrict or delay the sending or receipt of an entry. In entering the Competition entrants warrant that all information they submit is correct and not obscene or offensive or otherwise in breach of any third party rights and DCT reserves the right to verify the eligibility of all entrants. DCT reserves the right to disqualify any entrant from the Competition if it believes (in its sole discretion) that such entrant has breached any of these Terms. the day on which they’d like to attend the event – Saturday, October 22 OR Sunday, October 23. The Competition prize is non-transferable and non-negotiable and there is no cash alternative. DCT reserves the right to substitute the Competition prize as detailed above with an alternative prize, in its sole discretion. If the Winner and/or their guest is/are under the age of 16 they must also be accompanied by a parent or guardian over the age of 18. Proof of age will be required and the Winner and their guests will not be admitted if they do not meet the above age and accompaniment requirements. If in the reasonable opinion of DCT or the staff at the venue, the Winner or their guest(s) is/are behaving inappropriately, they will be asked to leave. The winner (known as the “Winner”) will be selected from all Competition entries by representatives of DCT and an independent judge. If, for any reason, DCT is unable to contact Winner to inform them that they have won the Competition, or if the Winner do not contact DCT within 24 hours of DCT sending notification to such Winner to confirm acceptance of the Competition prize in accordance with these Terms, then DCT reserves the right (in its sole discretion) to select an alternative Winner. After October 10, 2015, entrants may write to DCT at the address above requesting that they be provided with the Winners’ names and counties of location. The judges’ decision is final and binding in all matters regarding the Competition (including in the event of a dispute) and DCT will not enter into any correspondence or discussion with entrants. DCT reserves the right to cancel the Competition and/or amend these Terms, including (but not limited to) changing dates or prizes, for any reason without notice and cancellation or amendment. Any changes will be posted on www.animalsandyou.co.uk. DCT accepts no responsibility for any costs or expenses incurred by the Winner or their guests or parents or guardians in connection with the Competition. To the extent permissible under applicable law, DCT shall not be liable to any entrant or Winner (and/or any guest or parent/guardian as applicable) for any loss or damage howsoever caused (whether in contract, tort (including, without limitation, negligence) statutory duty or otherwise) arising out of or in connection with the Competition. Entrants (including the Winner) shall not do anything that could damage or harm the reputation of DCT, Animals and You or any products included within Animals and You. The Competition is governed by English law and any disputes arising in connection with the Competition and/or these Terms will be subject to the exclusive jurisdiction of the courts of England and Wales. The Winner agrees that DCT may use their entry, photo, image, name and likeness to publicise the Competition, in any and all media that DCT desires. The Winner agrees to take part in such reasonable Competition-related publicity as DCT may require and accepts that DCT may publicise images/statements in connection with/resulting from this Competition. DCT may use data supplied by entrants to contact entrants in relation to other competitions it runs or to market products or services it believes may be of interest to them. Entry into this Competition shall constitute consent to the uses of data contained in these Terms.